Spanish airline Iberia has cancelled more than 30% of its flights out of Spain over a pilots' strike which has affected thousands of passengers. 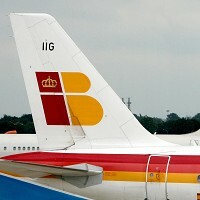 The strike was organised amid concern from pilots that they could lose their jobs when company planes are diverted to Iberia Express - the airline's new budget arm. The airline said it had made alternative arrangements for the 10,000 passengers affected by the industrial action - either booking them on other Iberia flights or those with other airlines. The new Iberia Express service is hoped to be launched early next year as part of a bid to compete with Ryanair and easyJet on short-haul and medium-haul routes. Although the passengers had alternative transport arranged, the strike still underlines the importance of arranging good travel insurance before jetting off.